A Nashville chancellor ruled Tuesday that it would not be in the public interest to block the release of an investigative report on allegations of sexual harassment by state Rep. Jeremy Durham. Chancellor Russell Perkins heard arguments earlier in the day after Durham asked for an emergency ruling to block the report, arguing it would cause him irreparable damage. The report is expected to be released on Wednesday at a meeting of the Ad Hoc Select Committee appointed to look into Durham's conduct. Gov. Bill Haslam hopes the memorial service for the five Dallas police officers killed in last week's shooting can be an opportunity for healing. Haslam says that while he believes "all lives matter," it's time for the nation to confront its legacy of racial disparity in policing. The Republican governor adds that he's rooting for President Obama. 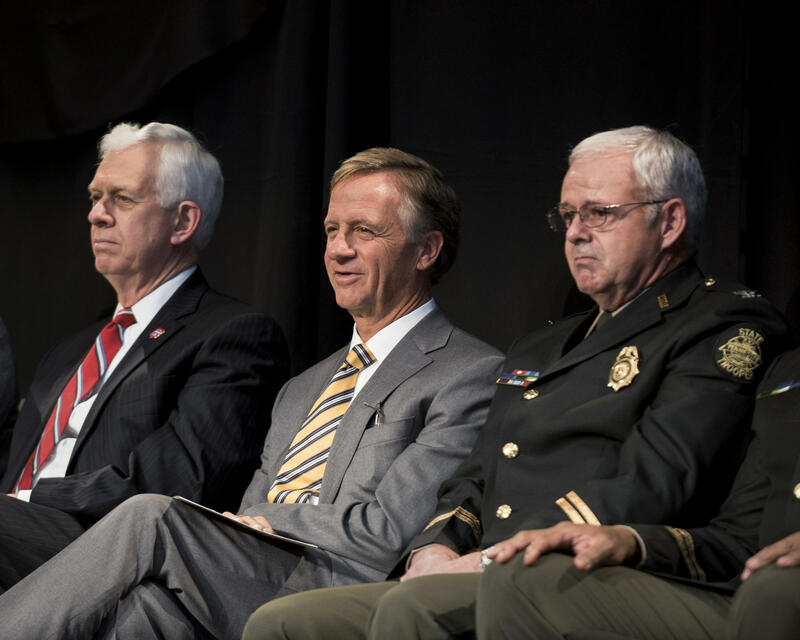 Haslam hopes his speech to mourners succeeds in advancing the national dialogue around police shootings. "He's uniquely qualified to do something to a country that's troubled," the governor told reporters shortly before Obama's speech was scheduled to begin Tuesday morning. Haslam says the big issue troubling the country is it hasn't fully overcome racism. He says African-Americans have a legitimate complaint about how they're treated, and it's difficult for others to hear that. "We're not going to solve this overnight, but I do think we have to start having really hard conversations. The encouraging thing to me is you're seeing law enforcement officers doing that. You're seeing churches doing that. You're seeing those conversations happen." Tennessee revenue collections tore through expectations yet again in June, bringing in $112.8 million more than projected. That brings the state's tax collections for Fiscal Year 2015-2016 to $911.2 million above projections originally made last year by the State Funding Board. State Finance Commissioner Larry Martin said growth in last month's tax collections hit 6.16 percent over June 2015. But the commissioner sought to temper that, saying June sales tax collections "recorded much slower growth than previous months, which was not expected." "However," Martin added, "June brought us stronger than anticipated collections from corporate business taxes and well above budgeted expectations for all other tax sources combined." With one month left to go in Tennessee's fiscal year, the general fund has recorded revenues in the amount of $841.1 million more than year-to-date budgeted estimates. The four other funds, which includes the highway fund, are $70.1 million more than budgeted estimates. Rep. Marsha Blackburn is asking the FBI and other federal agencies to open a "public corruption" investigation into the activities of the Bill, Hillary and Chelsea Clinton Foundation. In a letter she is circulating to other House members, the Brentwood Republican says media reports have raised significant questions about the foundation's practices and their intersection with American foreign policy. Blackburn sent letters to the IRS and the Federal Trade Commission earlier this year asking them to investigate the foundation's activities. Her office said Wednesday that at least 40 House members have signed the new letter. Appearing before a congressional committee last week, Comey declined to say whether the FBI looked into the Clinton Foundation's activities as part of its investigation into Hillary Clinton's emails. Secretaries of State from 40 states convene this week in Nashville for their annual conference where officials will discuss topics including preparing to administer this year's presidential election voting process, protecting small businesses against identity fraud and digital government. Congress will leave the Capitol at the end of this week for a two-month break without passing legislation to tighten access to guns, setting up a volatile summer recess in which the issue is expected to play prominently in the campaigns. House Speaker Paul Ryan (R., Wis.) told Republicans at a closed-door GOP conference meeting on Tuesday that a package that includes a gun-control measure wouldn’t get a vote this week, lawmakers at the meeting said, in a reversal from previous plans. He indicated that holding a vote risked inflaming tensions further at time when the country is already on edge after shootings in Dallas and Orlando in recent weeks, they said. The Senate had earlier considered several bills, but none passed. The scheduling decision by House Republicans marks a reversal from just last week, when they held a conference call during their July 4 recess and Mr. Ryan announced plans to vote on a package that would include measures to disrupt radicalization and terrorist recruitment, along with a provision to prevent suspected terrorists from buying guns. Jeff Weaver does not plan to join the Clinton campaign, but has been asked by her campaign to appear at events and help with the voter organization, he told Politico. “Like the senator I am fully behind the secretary and certainly I will make known to all the Bernie supporters around this country who know me very well — and have received emails from me from the last year plus — that I am certainly on fully on board as well,” Weaver told Politico. Weaver predicted Sanders will "stump quite heavily for the secretary all across the country," especially in battleground states, after endorsing the presumptive Democratic nominee Tuesday during the pair's first joint appearance. “I’m disturbed by the words missing from the Trump campaign: Liberty, justice, freedom and tolerance,” Chernow said. “The only historical movement that Trump alludes to is a shameful one:America First,” he said, referring to Trump’s foreign policy slogan, which shares its name with an anti-Semitic group from the 1940s. Trump has been scorned for his proposal to deport 11 million people and build a border wall, which he claims Mexico will pay for. Mexico’s president said there was “no way” the country would comply with such a demand. The GOP platform proposal doesn’t include the stipulation. Many Republican leaders have been lining up behind Trumpahead of the convention, including House Speaker Paul Ryan (R-Wis.), Senate Majority Leader Mitch McConnell (R-Ky.) and RNC head Reince Priebus. Several prominent GOP names, includingtwo former presidents, say they won’t attend the convention. We say it's more like an "old-time tent revival-meets Woodstock." Artists included The Indigo Girls, Matt Maher, Dar Williams, Ken Medema, Phil Maderia and many, many others. Following a week of national tragedy and heartbreak, it was wonderful to share time with people of faith and spirit, dedicated to social justice and and the common bonds which unite us all. SELMER, TN - Tennova Healthcare, owned by Community Health Services, announced in March that the hospital would shutter its doors in May. The company cited several issues, including structural problems with the building, fewer patients and less federal funding. There's no good reason the Tennessee attorney general should be barred from releasing its investigative report pertaining to embattled stateRep. Jeremy Durham, argues Attorney General Herbert Slatery in a new court filing submitted late Monday. An attempt by Durham to prevent the investigation will fail for a variety of legal reasons, and releasing the report won't cause "irreparable harm" to Durham, Slatery argues. Instead, he says Durham's attempt to stop the legislative committee and attorney general from conducting their jobs would do harm to the state and the "public interest." Vanderbilt University professor Carol Swain sharply criticized the Black Lives Matter movement this weekend, saying it was "misleading black people" and that it "needs to go" during an interview on CNN. During the seven-minute segment that aired Saturday, Swain railed against many of the movement's tenets and called it "a very destructive force in America." The political science and law professor also questioned the credibility of videos showing two black men who were fatally shot by police last week. Vanderbilt Provost Susan Wente responded to Swain's comments late Sunday, saying that Swain's comments "in no way represent those of the university." "Vanderbilt University is committed to diversity, inclusion and freedom from discrimination," Wente said in a statement. "Ensuring that our campus is a safe, welcoming and supportive environment for every member of the Vanderbilt community has been, and will always be, our top priority. Vanderbilt joins the nation in mourning Alton Sterling, Philando Castile and the five officers killed in Dallas Thursday." It's not the first time the university has taken steps to distance itself from the conservative firebrand who became a faculty member in 1999. Swain has made headlines for her stances on contentious national and local debates several times. In light of the recent deadly violence both against and by the police, a Tennessee Congressman is calling for a House hearing. He wants to push forward a policing reform bill he helped introduce. Given events last week, isn't this a recipe for another tragedy? Under a new law that quietly took effect last week, many Tennessee gun owners may now legally keep loaded firearms in their vehicles even if they don't have a state-issued handgun-carry permit. 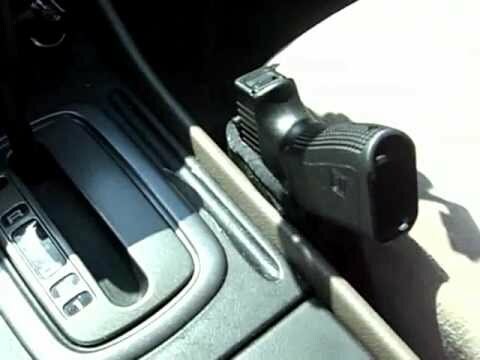 As of July 1, people who are legally able to possess a gun under state and federal law, you can keep a loaded handgun, shotgun or rifle in a car or truck you legally possess. "She'd Make a good President"
Donald Trump is attacking Hillary Clinton these days, but eight years ago, in the midst of the 2008 Democratic primary race, he said a lot of people thought pairing her with Barack Obama would be a “dream ticket.” Mr. Trump’s kind words for Mrs. Clinton came in a previously unreported clip from “Trumped!,” a syndicated radio feature that aired from 2004 to 2008 and consisted of a daily commentary of about 60 seconds from the real-estate mogul. On the radio feature, a little-known chapter in his media career, Mr. Trump gave his thoughts on current events, relationships, women and politics. On Mrs. Clinton’s 2008 run he said, “Well, I know her, and she’d make a good president or a good vice president.” Listen to Mr. Trump’s comments here. In an unusual "special communication" published in The Journal of the American Medical Association, President Obama reflects on his signature health care law, calling it the "most important health care legislation enacted in the United States since the creation of Medicare and Medicaid in 1965." Drawing on a wide range of evidence, Obama states his major, unsurprising findings: 20 million people have gained insurance, bringing the uninsured rate to 9.1 percent in 2015. He notes an increase in the number of non-elderly people who have a physician and access to medicine. He cites a study that found people who gained coverage through expanded Medicaid have greater financial security, reducing the debts sent to collection by $600 to $1,000. His most controversial argument is probably this: He credits the law with helping to control health care spending, a point that has been much debated. It's unclear how much of the slowdown in the growth of health care spending is due to the Great Recession and how much should be attributed to the law or other factors. Obama acknowledges that work remains to be done to make health care more affordable and to increase competition in the marketplaces where people purchase plans, ​including by offering a public option like Medicare where there are few insurance providers​. "I have come here to make it as clear as possible why I am endorsing Hillary Clinton and why she must become our next president," Sanders said at a joint rally here. "Secretary Clinton has won the Democratic nomination and I congratulate her for that." Last week, congressional Republicans were frustrated as they sought to steamroll Democrats on guns, the Zika virus and counterterrorism. Republicans may seek much of the same agenda this week in a more difficult context of last week's shooting of police and police shooting two black men. An 18-month extension of aviation programs, including air traffic control, may be the July session's lone accomplishment. The ambush of police in Dallas and police shootings of black men in in Louisiana and Minnesota prompted bipartisan calls in Congress to deescalate partisanship and to seek common ground. The likelihood of accomplishing that goal before the end of the week, when Congress adjourns for nearly two months, is not high. House Republicans pulled a counterterrorism measure from the floor last week that included a provision backed by the National Rifle Association to inhibit suspected terrorists from buying guns. Democrats overwhelmingly opposed the bill as inadequate while many Republicans oppose any gun bills. Leaders could try to revive the measure this week. Senate Democrats, bitter over being shut out of conference discussions on the Zika funding bill, demonstrated their anger by stopping consideration of the Defense appropriation. Unless Republican leaders are willing to engage in bipartisan compromise, the vote probably signals the end of Senate debate over spending until a Continuing Resolution is needed to prevent a government shutdown in October. Bipartisan compromises are available to keep aviation programs authorized past their July 15 expiration and on opioid legislation, although some Senate Democrats object to the opioid bill's lack of funding. While the path for the aviation bill's enactment seems clear, the opioid bill's lack of funding and potential conflation with the Zika bill could make its passage more difficult. Jobs increased by 287,000 in June 2016, outpacing expectations with the biggest boost since October 2015. House Republicans interrogate Comey - but he turns their political narrative on it's head - here are his exact words . . .
Today, House Republicans brought FBI Director James Comey in to testify – after the conclusion of a year-long investigation – in hopes of uncovering new details to damage Hillary Clinton. Instead, Comey’s testimony only debunked GOP talking points and further substantiated Clinton’s case. 1. Emails reported as "marked classified" were improperly marked. MATT CARTWRIGHT: I don't think you were given a full chance to talk about those three documents with the little ‘C’s’ on them. Were they properly documented? Were they properly marked according to the manual? COMEY: No. 2. And those emails could be reasonably judged as not classified. MATT CARTWRIGHT: If Secretary Clinton were an expert about what's classified and not classified and we're following the manual, the absence of a header would tell her immediately that those three documents were not classified. Am I correct in that? | COMEY: That would be a reasonable inference. 3. There’s no evidence Clinton ever knew she had received classified information or intended to retain it on her server. COMEY: There is in my view not evidence beyond certainly probable cause, not evidence beyond a reasonable doubt she knew she was receiving classified information or she intended to retain it on her server. 4. Guccifer admitted his claim he had hacked Clinton’s server was a lie. BLAKE FARENTHOLD: And [Guccifer] claimed he gained access to Sid Blumenthal's e-mail account and traced him back to Secretary Clinton's private server. Can you confirm that Guccifer never gained access to her server. | COMEY: He admitted that was a lie. 5. And there is no evidence that Clinton’s server has ever been successfully hacked. COMEY: We were not able to conclude [any hacking attempts] were successful. 6. The FBI’s investigation was not influenced by outside officials. COMEY: "They didn't influence it in any way." 7. Clinton’s case is nothing like the case of General David Petraeus. COMEY: The Petraeus case to my mind illustrates perfectly the kind of cases the Department of Justice is willing to prosecute. Even there, they prosecuted him for a misdemeanor. In that case, you had vast quantities of highly classified information, including special sensitive compartmented information, that's the reference to code words. Vast quantity of it not only shared with someone without authority to have it but we found it in a search warrant hidden under the insulation in his attic and then he lied to us about it during the investigation. So you have obstruction of justice, you have intentional misconduct, and a vast quantity of information. He admitted he knew that was the wrong thing to do. That is a perfect illustration of the kind of cases that get prosecuted. In my mind, it illustrates importantly the distinction to this case. 8. Clinton’s case is nothing like the case of CIA Director John Deutch. COMEY: The Deutch case illustrates [the difference between Clinton’s case and others who were prosecuted] perfectly. I mean he took huge amount of documents. Almost all at the TSSC I level. Had them in hard copy in his house, had them on an unclassed system connected to the internet, attempted to destroy some when he got caught. Admitted I knew I wasn't supposed to be doing this. You have clear intent, huge amounts of documents, obstruction of justice. Those are the kinds of cases that get prosecuted. That's what I said. I meant it when I said it. In my experience which is three decades no reasonable prosecutor would bring this case. I know that frustrates people but that's the way the law is and that's the way the practice is at the Department of Justice. COMEY: Nishimura was prosecuted under the misdemeanor statute 1924 on facts that are very different. If you want me to go through them, I'll go through them but they are very different. 10. The FBI’s conclusion that there was no case against Clinton was unanimous. WILL HURD: Was this unanimous opinion within the FBI on your decision? | COMEY: Well the whole F.B.I. wasn't involved but the team of agents, investigators, analysts, technologists — yes. 11. Clinton’s email setup was, as she has always said, a matter of convenience. COMEY: Our best information is she set it up as a matter of convenience. It was an already existing system that her husband had and she decided to have a domain on that system. 12. Clinton did not instruct lawyers who performed the sorting of her emails. JIM JORDAN: Did Secretary Clinton know her legal team deleted those emails they kept from us? | COMEY: I don't believe so. | JORDAN: Did Secretary Clinton approve those emails being deleted? | COMEY: I don't think there was any specific instruction or conversation between the Secretary and her lawyers about that. | JORDAN: Did you ask that question? | COMEY: Yes. | JORDAN: Did Secretary Clinton know her lawyers cleaned devices in such a way as to preclude forensic discovery? | COMEY: I don't think she did. | JORDAN: Did you ask that question? | COMEY: Yes. 13. Hillary Clinton did not lie to the FBI. COMEY: We have no basis to conclude she lied to the FBI. 14. Clinton was not even evasive with the FBI. 15. There is no truth to the idea that others are prosecuted for what Clinton did. COMEY: There's all kinds of folks watching this at home who are being told, ‘well, lots of other cases were prosecuted and she wasn't.’ I want them to know, that's not true! House Republicans said Thursday they would seek a new Federal Bureau of Investigation examination into Hillary Clinton, this one focused on whether she lied to Congress about her handling of classified information, raising the likelihood the controversy over her private email system will continue through the fall elections. The announcement came as FBI Director James Comey appeared before Congress to forcefully defend his recommendation to the Justice Department earlier this week against charging Mrs. Clinton. Mr. Comey said that only once in the past century had charges been levied against someone for handling classified information negligently but without malign intent. The FBI investigation found that three emails of the more than 30,000 reviewed by agents contained classification markings, according to Mr. Comey. A State Department spokesman said Wednesday that the letter markings on those emails resulted from “human error” and never belonged in the emails in the first place, as the material wasn't actually classified. Sen. Marco Rubio (R., Fla.) and nine other GOP senators called on the State Department to suspend Mrs. Clinton’s security clearance. Democrats dismissed such calls as posturing. Rep. Adam Schiff (D., Calif.), said the intelligence briefings are designed to prepare the candidates and help them avoid campaign statements that would hurt the national interest. Donald Trump has selected U.S. Rep.Marsha Blackburn, R-Tenn., as one of the many speakers who will address the Republican National Convention, according to Politico. Blackburn, 64, who has been mentioned as a possible vice presidential candidate for Trump, will be among the list of speakers Trump was expected to announce Thursday. Blackburn called herself a "very unlikely candidate" for vice president, Politico also reported. In addition to Blackburn, who spoke at the RNC in 2008 and 2012, former Indiana basketball coach Bobby Knight and several members of Trump's family are expected to make speeches at the RNC. Several prominent Republicans, including the past two Republican nominees — Mitt Romney and John McCain — will not attend the convention in Cleveland, which begins July 18. The massive storms that blanketed Middle Tennessee throughout the night and early morning Thursday damaged or destroyed more than 50 buildings and forced authorities to declare a state of emergency. There were no reported fatalities, but the damage was widespread. Floodwaters swept a local day care center off its foundation. One church was destroyed and two others sustained major damage, as did a local ballpark, according to The Tennessee Emergency Management Agency. Emergency crews rescued people from their homes and cars, including a family trapped in their attic. State Rep. Andy Holt on Thursday hailed an opinion from the Tennessee attorney general that the lawmaker said supports his position that traffic enforcement cameras are operating illegally in the state. Holt, R-Dresden, who garnered attention in May when he set fire to a citation in a video posted on his Facebook page, called for a class-action lawsuit to return money to citizens who had been ticketed through the camera enforcement. He also called municipalities using the cameras "greedy" and "money-hungry" and said he was preparing a letter to send to district attorney generals across the state asking them to issue a cease-and-desist order for all enforcement cameras. Attorney General Herbert Slatery sent his three-page opinion to Holt on Wednesday after the legislator requested in March that the state's top lawyer examine the legality of red-light cameras. Slatery determined the employees of traffic camera companies could not review video footage from the cameras and determine whether a violation had occurred before sending footage to law enforcement. Rather, Tennessee law says only officers commissioned by the state or certified by the Peace Officer Standards Training Commission "and no one else" can review video evidence and decide whether a violation occurred. In Knoxville last year, drivers paid nearly $1.2 million in fines from camera-enforced citations, according to KPD. The city collected $309,363 of that amount, with most of the money going to the vendor. The law enforcement agency also said accidents in intersections equipped with cameras dropped 3 percent between 2014 and 2015. Crashes, however, are up 10 percent in those intersections so far this year. While Washington's attention was focused on the Hill, much of America was transfixed instead by the videos of police shootings this week of Alton Sterling in Louisiana and Philando Castile in Minnesota. President Barack Obama delivered remarks on the tragedies as he landed in Warsaw, Poland, for NATO meetings. The incidents in the United States are "symptomatic of a broader set of racial disparities that exist in our criminal justice system," Obama said. Snipers opened fire on police officers in the heart of Dallas, killing five officers and injuring six others during protests over two recent fatal police shootings of black men, police said. Three people are in custody and a fourth suspect was exchanging gunfire with authorities in a parking garage downtown, Dallas Police Chief David Brown said early Friday morning. The suspect is not cooperating and has told negotiators he intends to hurt more law enforcement officials, the chief said. The gunfire broke out around 8:45 p.m. Thursday while hundreds of people were gathered to protest fatal police shootings this week in Baton Rouge, Louisiana, and suburban St. Paul, Minnesota. Brown told reporters the snipers fired ‘‘ambush style’’ upon the officers. Mayor Mike Rawlings said one member of the public was wounded in the gunfire. WASHINGTON — In light of recent police shootings, Rep. Steve Cohen asked Thursday for a congressional hearing on his proposal for independent prosecutors to investigate cases of deadly police force. "Both instances were caught on video and show white police officers killing black men," the Memphis Democrat said of the shootings in Louisiana and Minnesota. "This has become all too common," Cohen said. "Black lives matter." Cohen's bill, known as the Police Training and Independent Review Act, attempts to prod states and local governments to pass laws mandating that allegations of deadly police force be handled by independent prosecutors, who would decide whether to pursue indictments. States that don't mandate independent investigations could lose 20 percent of their federal criminal justice funding. "The ultimate tragedy is not the oppression and cruelty by the bad people but the silence over that by the good people." - Martin Luther King, Jr.
WASHINGTON — Sen. Bob Corker removed himself from consideration as Donald Trump’s running mate Wednesday but said he would be open to serving in Trump’s administration should the presumptive GOP nominee win the presidency. Corker, a Tennessee Republican who is chairman of the Senate Foreign Relations Committee, said he informed Trump and his campaign team during a series of meetings Tuesday that he was taking himself out of the running for vice president. Attorney General Herbert Slatery announced Wednesday that he will not follow the Tennessee legislature’s directive to sue the federal government over refugee resettlement, but he will not stand in the way of hiring an outside firm to initiate the lawsuit. The lawsuit will move forward because a resolution approved by the legislature earlier this year included a provision that allows the legislature to hire outside counsel to sue the government for noncompliance of the Refugee Act of 1980. The federal act was designed to create a permanent procedure for the admission of refugees into the United States. In explaining the decision, Slatery said his office conducted an extensive review of the legal issues raised by the resolution. Knoxville Police Chief David Rausch blasted congressional negotiators on Wednesday for refusing to approve new federal funding to combat the opioid abuse epidemic. Rausch's comments came after he met with top Obama administration officials at the White House, where he and other law enforcement officials pressed policymakers for more help in fighting the spread of drug abuse. Rausch and other police chiefs met with Michael Botticelli, director of the White House Office of National Drug Control Policy, and Obama's chief of staff, Denis McDonough. As they huddled at the White House, lawmakers on Capitol Hill finalized a major agreement on legislation to address the opioid epidemic. That bill, the Comprehensive Addiction and Recovery Act, would expand prevention and treatment of opioid abuse and addiction. The measure had broad bipartisan support, but hit a partisan snag over funding as the final details were being hashed out Wednesday. Democrats tried to add $920 million in new funding to the bill, money advocates said was vital for states to respond to the opioid epidemic. Republicans blocked that effort, saying they would look at plumping up spending on drug treatment and prevention programs separately, when Congress takes up the annual federal spending bills. nt of painkiller addicts as it looks to stem opioid abuse rates, which have hit epidemic levels in Tennessee. Plans unveiled this week by top federal officials would empower doctors to treat dramatically more patients grappling with painkiller or heroin abuse than current regulations allow. Under a new U.S. Department of Health and Human Services rule slated to take effect later in the summer, doctors will be authorized to prescribe buprenorphine, a narcotic that treats pain and opioid addiction, to as many as 275. Currently, doctors can offer that treatment to no more than 100 patients. The Tennessee Department of Education has signed a contract with a new testing company following the failed switch to online assessments this year. But education leaders are hesitant to give computer-based testing another go right away. It's not that the new company doesn't know how to give tests online, Tennessee Education Commissioner Candice McQueen says. Questar just finished converting Mississippi to computer-based testing without too much trouble (though there weresome glitches lasting as long as 20 minutes). The $2.48 million payout to end a sexual assault lawsuit against the University of Tennessee is the latest in a spate of settlements entered into by colleges and universities across the country faced with a growing number of similar legal challenges in recent years. Universities are spending millions of dollars to settle such cases, often with stipulations not to discuss details. In some instances, that provides a shield of secrecy for the schools about alleged assaults, athletes and students involved and how the incidents were handled by administrators and coaches. Colleges and universities say they are settling such suits in an effort to avoid protracted and expensive litigation, negative publicity and public trials. "One side ultimately would have won in court several years from now, and we felt confident about our legal position, but I truly believe that both sides would have lost," said Raja Jubran, UT Board vice chairman, of the settlement with the eight women who filed suit. "The intangible costs of emotional stress to those involved and the distraction to all of our positive progress at UT, over and above the actual legal costs, would have been exorbitant." Donald Trump’s regular praise for authoritarian governments and dictators has come under fresh scrutiny this week following his latest laudatory comments about the late Iraqi dictator Saddam Hussein, whose human rights abuses and support for international terrorism made him a top enemy of the United States for decades. Trump has also repeatedly praised Russian President Vladi­mir Putin and North Korean dictator Kim Jong Un as “strong” leaders “unlike what we have in this country,” citing the control they have over their people. When Putin complimented Trump last year, Trump called it “a great honor,” and pranksters have painted murals in several cities showing the two men kissing. In January, he also mused favorably about the North Korean strongman’s brutal consolidation of power in the country. Kim was formally sanctioned by the United States for human rights violations Wednesday. Trump’s comments regarding Hussein this week were met with particular furor, in part because the race has effectively entered the general election phase and because of Hussein’s brutal record and long history of conflict with the United States, including a failed attempt to assassinate then-President George H.W. Bush. The University of Tennessee will pay $2.48 million to settle a federal Title IX lawsuit alleging the university maintains a "hostile sexual environment." Lawyers for UT and the eight unidentified female plaintiffs agreed to the settlement, announced Tuesday, two days before a response to the lawsuit from UT lawyers was due in U.S. District Court. The settlement, to be paid half by the athletics department and half by the Knoxville campus, still needs to be approved by U.S. District Judge Aleta Trauger of Nashville. The lawsuit alleges UT violates Title IX in handling of sexual assault cases, especially accusations against student athletes. The February filing spurred a wave of media attention and brought recent sexual assault cases involving UT athletes as well as allegations against former UT and National Football League quarterback Peyton Manning back into the spotlight. The need for organs far outweighs the supply of donors. Each day 22 people die across the country while waiting for an organ. In 2015, 130 people in Tennessee died before having a lifesaving transplant, and 30 people died from January to May this year. Nationally, it’s estimated that 95 percent of Americans support organ donation, yet about 50 percent register as a posthumous donor. In Tennessee about 39 percent are registered, Grandas said. Amid reports he is emerging as one of the finalists in Donald Trump's search for a running mate, U.S. Sen. Bob Corker met Tuesday with the presumptive GOP presidential nominee in New York City and later introduced the billionaire businessman to a cheering crowd at a Raleigh, N.C., rally. The Tennessee Republican, former Chattanooga mayor and chairman of the Senate Foreign Relations Committee has formally submitted vetting materials to the Trump search effort, NBC News reported. With the help of a federal grant, the Tennessee Department of Transportation has expanded its popular HELP program in Chattanooga and plans similar actions across the state where the lime-green trucks patrol heavily traveled freeways. TDOT was recently awarded a nearly $5.3 million federal Congestion Mitigation and Air Quality grant. That, along with $1.32 million in state matching funds, is letting the department add more HELP operators and trucks and add a new route in Chattanooga and other urban areas in East, Middle and West Tennessee. HELP trucks patrol the most heavily traveled freeways in Chattanooga, Knoxville, Nashville and Memphis seven days a week, according to TDOT's website. Trucks are equipped with a variety of tools, emergency medical equipment, traffic cones, traffic control signs, absorbent material, emergency and work lights, and other equipment to assist with incident management. The vehicles also carry gasoline, diesel fuel and water. The directional arrow boards on top of the trucks can be raised from inside the truck. HELP operators carry two-way radios and cellphones. All HELP operators are specially trained to deal with different kinds of emergencies, according to TDOT. Depending on how you roll, you either know John Cena as the suplex-dropping WWE star, Amy Schumer's boyfriend in "Trainwreck," the record holderfor number of wishes granted for the Make-A-Wish Foundation, a fervent support of the U.S. military or just some plastic action figure your kid leaves lying around on the floor. 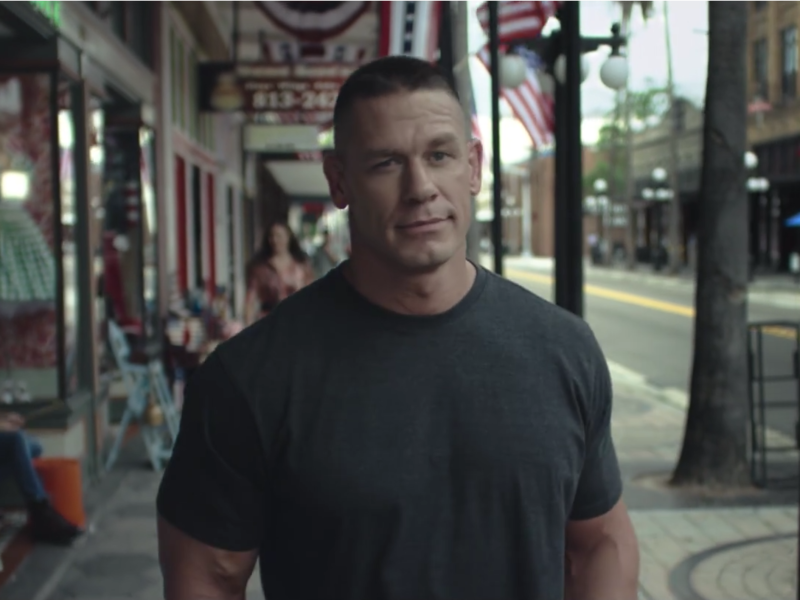 In the video, Cena lends new meaning to a few quintessentially American icons. He's strolling through Main Street, U.S.A. The streets are filled with a spectrum of people: Women wearing hijabs, people admiring a pride flag, children of all abilities and races enjoying each others' company, and Cena himself, who says that to be truly American is to love every American. "Almost half of the country belongs to minority groups," he says, while strolling past folksy Rockwellian scenes. "People who are lesbian, African-American, bi and transgender and Native American, and proud of it." The second notable feature of his statement is this line: "I have not coordinated or reviewed this statement in any way with the Department of Justice or any other part of the government. They do not know what I am about to say." This is clearly a reference to Bill Clinton's perhaps unintentional—but nonetheless very damaging—decision to compromise Attorney General Loretta Lynch by jumping on her airplane and having a private meeting with her. The first key finding is that there was, indeed, a significant amount of classified material on Clinton's server. How much? From the group of 30,000 e-mails returned to the State Department, 110 e-mails in 52 e-mail chains have been determined by the owning agency to contain classified information at the time they were sent or received. The bad news for Clinton comes next. And don't let anyone kid you. It's bad. "Although we did not find clear evidence that Secretary Clinton or her colleagues intended to violate laws governing the handling of classified information, there is evidence that they were extremely careless in their handling of very sensitive, highly classified information." This will be a politically damaging finding—as well it should be. It's not uncommon for high-ranking officials to treat classification rules with a lack of deference. That said, it's upsetting every time it happens. His reasoning, at least in my judgment, is clearly correct: "In looking back at our investigations into mishandling or removal of classified information, we cannot find a case that would support bringing criminal charges on these facts. This is not the first time Trump has praised Hussein or other dictators, although his comments Tuesday night gathered much more attention than his earlier remarks. In October, Trump said that the world would be "100 percent" better if dictators like Hussein and Moammar Gaddafi were still in power. In February, Trump said at a political event in New Hampshire that "whether you like Saddam Hussein or not, he used to kill terrorists" and now Iraq is a breeding ground for terrorists. James Comey, director of the Federal Bureau of Investigation, said the FBI won't recommend criminal charges against Hillary Clinton regarding her email arrangement while serving as secretary of state. A longtime Republican activist in Tennessee says he’s quitting the state party. Mark Winslow announced Thursday that he’s resigning from the Tennessee GOP’s Executive Committee. In a statement posted on social media, he says the soul of the state party has “rotted away.” "As it's currently constituted, the TNGOP is really nothing more than a small corrupt group who view our party as their private club and personal piggy bank," Winslow wrote in his resignation post. Winslow is a former staffer with the state party and has long advocated a shakeup in its current leadership. He's also a Donald Trump supporter — involved in a dispute this spring over who would represent the businessman as delegates to this summer’s Republican National Convention. Winslow also sued the Tennessee GOP for defamation five year ago. That came after confidential information about his severance pay from the state party showed up in a political ad. And Winslow said he believes the state party has shown favoritism in GOP primaries, a practice that would be a violation of the party's rules. That would seem to be a reference to a recent controversy over consulting work performed by the wife of a current staffer on behalf of some Republican candidates. Despite those disputes, Winslow notes he’s managed to hold onto his seat on the Executive Committee. But he’s concluded the 68-member board lacks the power to change the Tennessee GOP. "I came to understand a long time ago that if you want to make a real difference, the SEC (State Executive Committee) is the last place you should hang your hat," Winslow said. "It's great if you need an empty title to validate yourself, but that's never been my thing." Sen. Bob Corker is hitting the campaign trail with Donald Trump. The Chattanooga Republican, who is considered a potential vice presidential running mate for Trump, is to accompany the presumptive GOP presidential nominee to a campaign event in Raleigh, N.C., Tuesday night, USA TODAY reported. Corker's office did not immediately respond to a request for comment. Corker, chairman of the Senate Foreign Relations Committee, has downplayed speculation he could be Trump's running mate and said he has no reason to believe he's being considered. Law enforcement agencies across the United States picked up almost 9,000 guns during 2015 that traced back to original owners in Tennessee, according to the U.S. Bureau of Alcohol, Tobacco, Firearms and Explosives. Most of the 8,841 guns were seized after they were used in crimes, while some of the weapons may have been found or turned in to law enforcement agencies voluntarily. Editor's note: Study after study over more than half a century have proven conclusively that vaccinations DO NOT CAUSE AUTISM. Anti-vaxxers are dangerous wacko conspiracy nutjobs. Vaccines prevent diseases that used to kill thousands of children - hepatitis, diptheria, tetanus, pertussis, polio, measles, mumps, rubella and meningitis. If you don't vaccinate your kids, you run a real risk (however small) of killing them. If enough people fail to vaccinate their kids, these diseases can quickly become epidemic - sickening and killing hundreds if not thousands. It's happened before. VACCINATE YOUR KIDS. The original tweet, at 9:37 a.m. Saturday, the day Clinton was meeting with the FBI,showed a red Star of David shape against a backdrop of $100 bills. The presumptive Republican presidential nominee deleted that tweet by 11:19 a.m. and replaced the star with a circle in a subsequent missive. "Donald Trump’s use of a blatantly anti-Semitic image from racist websites to promote his campaign would be disturbing enough, but the fact that it’s a part of a pattern should give voters major cause for concern," Sarah Bard, the campaign's director of Jewish outreach, said in the statement. "Nothing in all the world is more dangerous than sincere ignorance and conscientious stupidity." - Rev. Martin Luther King, Jr.
TennCare would be expanded via a phase-in program that places priority on veterans and people with mental health or substance abuse disorders under a proposal from the health care task force commissioned by House Speaker Beth Harwell. The proposal from the 3-Star Healthy Task Force outlines a two-step program that encourages people to develop relationships with physicians, get behavioral health treatment in tandem with physical health treatment and includes a work and education component to help people into positions lucrative enough to finance commercial coverage. Today’s the day wine lovers have been longing for, as hundreds of stores across Tennessee will begin selling wine at 8 a.m. But wine in grocery stores is just one of dozens of state laws to take effect today. From texting to voting, they run the gamut. Here’s a look at 10 of Tennessee’s new laws. As of last week, 430 stores across Tennessee had been approved to sell wine. Under the new law, wine sales at grocery stores must adhere to the same hours as liquor retailers: 8 a.m. to 11 p.m. Monday through Saturday and no sales on Sundays. Full-time college employees — including professors and staff members — with the necessary permits can now carry concealed handguns with them on campus. But anyone who wants to carry must register with campus or local law enforcement first. The Focus on College and University Success Act takes effect today. It includes Gov. Bill Haslam’s plan to create independent boards for the six state universities governed by the Board of Regents, including Middle Tennessee State, Tennessee State and Austin Peay State universities. Haslam has said universities will get more attention from their own boards, allowing the Board of Regents to focus on community and technical colleges. Aimed at drivers impeding traffic, this law requires cars to stay out of the left lane of interstate highways with at least three lanes, except for passing. Violators face a $50 fine. This law allows underage college students to taste beer they make in a brewing course. In 2015, the bill, sponsored by Republican Sen. Bill Ketron, drew plenty of jokes for allowing students to only sip — but not swallow — the beer. This new law increases penalties for repeat DUI offenders and reduces the consequences for possessing small amounts of marijuana. Specifically, the law elevates a DUI offense for those convicted six or more times from a Class E felony to a Class C felony, more than doubling the average amount of time served. The law also reduces the simple possession of marijuana to a misdemeanor. Previously, three or more convictions for simple possession constituted a Class E felony. A new law authorizes Davidson County to prohibit, by ordinance, smoking at an outdoor amphitheater owned or operated by Metro government. The Metro Council approved a smoking ban for Ascend Amphitheater in May. That means music fans can no longer light up anywhere at the 6,000-seat venue, which is owned by Metro government and operated by entertainment giant Live Nation. The penalty for texting and driving is being strengthened to a moving violation. On first offense drivers must complete a traffic education course. Tennesseans with an unexpired driver's license or personal identification card issued by the Department of Safety can now register to vote online. Governor Bill Haslam may not ever endorse Donald Trump. Tennessee’s Republican Governor has been hesitant to give his official support for the GOP nominee. Haslam now says he doesn’t plan to focus on the presidential race. A month ago, Governor Haslam had never met Donald Trump. He refused to endorse the billionaire businessman until they talked about shared concerns in person. He had that meeting two weeks ago, and is now backing away from offering his support. As it prepares to start up its last remaining unfinished nuclear reactor this summer, the Tennessee Valley Authority is preparing to cut its nuclear power staff to its lowest level since the federal utility launched America's most ambitious nuclear construction program a half century ago. TVA is offering the 3,500 employees in its nuclear unit incentives to voluntarily quit or retire within the next three months to help pare its staff and operating expenses to meet its fiscal 2017 budget targets. TVA has not announced yet how many jobs it intends to cut. But in a similar company-wide program over the previous three years, TVA eliminated about 2,000 jobs and reduced its overall staff to just over 10,000 employees. Sometimes, Donald Trump sounds as though he is just passing on information, as he did after Supreme Court Justice Antonin Scalia died. "They say they found a pillow on his face," Trump told a radio interviewer, "which is a pretty unusual place to find a pillow." Other times, he seems to be wondering aloud, as he did when he suggested the Clintons might have been involved in what he termed the "very fishy" 1993 suicide of former White House aide Vince Foster. More famously, he helped drive the so-called birther movement, insisting that President Obama was not born in the United States and that investigators he had sent to Hawaii would exponse "one of the greatest cons in the history of politics and beyond." Trump's affinity for conspiracy theories might seem the stuff of a few kooks and cranks living in their parents' basement. But far from being a marginal phenomenon, conspiracy theories have always been part of the American political landscape and are believed by more than 55 percent of the public - a group that cuts across race, gender, income and political affiliation, according to researchers and polls. 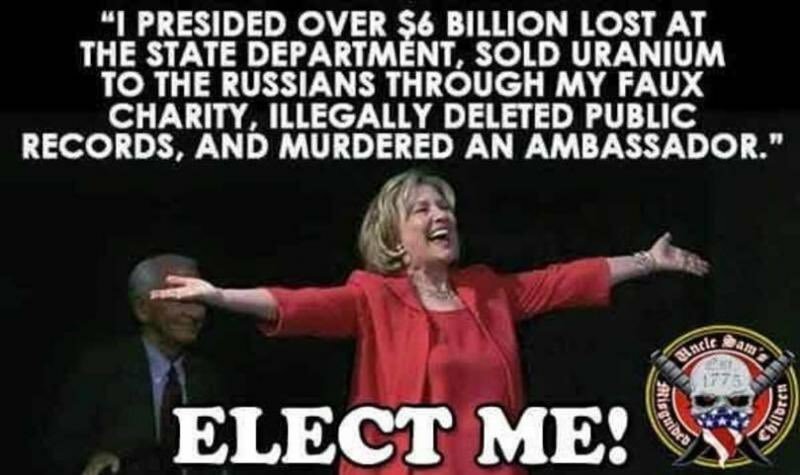 Cohen tweeted a meme that says Clinton "presided over $6 billion lost at the State Department, sold uranium to the Russians through (her) faux charity, illegally deleted public records, and murdered an ambassador." There are significant problems with each part of the post. During Clinton’s tenure at as secretary of state, the department was reprimanded for shoddy paperwork affecting $6 billion worth of contracts, not "losing" the money. The Clinton Foundation did not sell uranium to the Russians. Clinton’s State Department approved Russia’s purchase of a company with uranium assets in the United States but it was one of 11 organizations to do so. There’s no evidence that she personally advocated for the deal, nor is there evidence that people related to the company who donated to the Clinton Foundation did so on a quid pro quo basis. Clinton deleted over 30,000 emails off her private email server without government review. Experts say that’s certainly skirting the rules and her email server in general was not allowed. But to say that it was "illegal" takes it too far, at least for now. Finally, terrorists murdered the U.S. ambassador. None of the seven probes into the Benghazi attacks held Clinton personally responsible for the ambassador’s death, let alone charge her with murder. This claim is outrageous. For the post's egregious claims, we rate it Pants on Fire! Unhinged quote of the day: "That could be a Mexican plane up there. They're getting ready to attack." - Donald Trump, the presumptive Republican presidential nominee, while a plane flew above him during his speech Thursday, POLITICO's Ben Schreckinger reported. In her effort to continue representing the state's 6th Congressional District, Rep. Diane Black is zeroing in on immigration and refugees in her first campaign ad. In a 30-second spot, which began airing Thursday, Black tells an audience that she has fought hard to ensure the country's borders are protected. "The fact is that people come into this country illegally — we've got to hold them accountable and responsible," she says. Black has pushed legislation aimed at that goal but it has not received Congressional approval or become law. A week after the vote, Tennessee officials are doing the math about the pending breakup between the European Union and the United Kingdom, a country that represents a surprisingly important trading partner for the state. Polls in Great Britain had predicted voters would decide narrowly to stay in the EU. So it was a shock to everyone that Britain voted to leave, says Gov. Bill Haslam. "I was in Ireland last week when all that happened," Haslam said, referring to an economic recruitment trip. "And I think a lot of people that I talked to were surprised. I had a chance to meet with a lot of members of their Parliament. None of them saw that coming." The aftermath will take months to sort out. The United Kingdom isn't expected to start withdrawing from the European Union until at least September, and the process could take up to two years to complete. But Haslam says Brexit is certain to ripple through the Tennessee economy. Last year, the state exported nearly $1 billion in goods to the United Kingdom. More than a quarter of that was aerospace products, followed by beverages. And the United Kingdom is also the state’s fourth-biggest source of foreign investment, behind only Japan, Germany and Canada. British firms have put more than $1.4 billion into Tennessee. Those firms employ about 10,000 people here. Tennessee also imports nearly $1.4 billion in goods each year, more than a third of that pharmaceuticals and medicines. A long-awaited West Tennessee facility is closer to reality as the State Veterans Home Board will officially announce today the acquisition of an Arlington site for the home. The new 144-bed home will be built on the former state Intellectual and Developmental Disabilities Center property. According to state Sen. Mark Norris, R-Collierville, Gov. Bill Haslam signed the transfer of approximately 28 acres from the Department of Intellectual and Developmental Disabilities to the Department of Veteran Services earlier this week. The new home will offer nursing and rehabilitation therapy. The goal of the veterans home is to help veterans return home, if possible, but offer long-term care if needed. A day after the House Benghazi committee released a final report that left Hillary Clinton relatively unscathed, conservative activists — the conspiracy-minded ones who pressured House leaders to appoint the committee in the first place — rounded on Chairman Trey Gowdy for failing to deliver the goods. Sir Roger Gale was puzzled when a string of emails from Donald Trump’s presidential campaign landed in his inbox. As a Briton and a member of Parliament, Gale is barred by U.S. law from giving Trump money, much less voting for him. “I’ve gotten rid of most of that rubbish,” Gale said in an interview. Senate majority leader Mitch McConnell is wrestling with an unenviable, arguably impossible task this election year: protecting Senate Republicans from the political upheaval caused by Donald Trump’s presidential candidacy. If he fails it won’t be for lack of preparation, hard work, and cold-blooded calculation. In many ways Trump’s polar opposite, the close-mouthed, deliberate, uncharismatic McConnell maneuvered into his dream job as majority leader just last year, and has been working every angle to ensure he hangs onto it even if a backlash against Trump provokes a Democratic tidal wave. If they keep the presidency, Democrats need to pick up four Senate seats to take back the majority. For McConnell, 74, avoiding that outcome means running a Senate schedule designed to assist a handful of vulnerable GOP incumbents in states such as Pennsylvania, New Hampshire, and Ohio. He’s allowing them to take votes and stack up accomplishments on issues like opioid addiction that they can brag about to voters back home. And it means a delicate dance with Trump, whom he was quick to endorse in May, declaring that Trump had ‘‘won the old-fashioned way — he got more votes than anybody else.’’ The approach was markedly different from that of House Speaker Paul Ryan, whose hesitation before finally backing Trump provoked weeks of headlines on GOP infighting, and private grumbling from some Republicans who thought Ryan should have acted more like McConnell. The National Rifle Association’s Political Victory Fund is behind a new anti-Hillary Clinton ad released today that appears to have been filmed in a U.S. national cemetery, which would be a violation of government policy. The "Stop Clinton, Vote Trump" advertisement, which the NRA says was filmed outside an unidentified national cemetery, criticizes Clinton for the fatal Benghazi, Libya, attacks and urges voters to support Donald Trump in the general election. It features Mark "Oz" Geist, one of six former elite military operatives who fought back in the 2012 Libya terror attacks that killed U.S. Ambassador Chris Stevens and three other Americans. Portions of the ad appear to show Geist overlooking the cemetery while others show him walking the grounds. The Clinton camp slammed the ad. During that primary debate, Trump said: “The TPP is horrible deal. It is a deal that is going to lead to nothing but trouble. It’s a deal that was designed for China to come in, as they always do, through the back door and totally take advantage of everyone.” Our friends at PolitiFact rated this claim Pants on Fire, their worst rating saved for the most egregious falsehoods. Not only was China not a part of negotiating the deal, it is highly unlikely for China to “take advantage of” the 12 TPP countries. It’s still not clear what Trump is referring to when he talks about a “back door” into TPP that China allegedly will use. We consulted a wide range of experts who support and oppose the trade accord, but they said there is no formal “back door” into the deal; rather, any non-TPP countries looking to enter would need to go through a formal accession process. While this statement by Trump is problematic, it does not quite rise to Four Pinocchios; immediately after saying China “will enter” TPP, he contradicts himself by saying China is watching and studying and will enter “if it is good,” and “if it is no good, they’ll pass.” Since he added that last caveat, we award Three Pinocchios. Only a few weeks after the death of his son, the chief of staff to Gov. Bill Haslam is mourning the death of his wife. Jim Henry confirmed Monday that his wife, Pat, died. Public records indicate Mrs. Henry was 70 years old. “Deputy Governor Jim Henry lost his wife of 48 years, Pat Henry, to cancer this morning. Pat was selfless. She spent her life devoted to her family and others and will be sorely missed. Crissy and I are praying for Jim, the Henry family and their many, many friends across the state," Haslam said in a statement Monday morning. When Pat Summitt announced in August of 2011 that she had been diagnosed with early onset Alzheimer's disease, the Tennessee women's basketball coaching legend pointedly said, "It's not going to keep me from living my life." A private service and burial for family and friends will be held in Middle Tennessee. A public service to celebrate her life will take place at Thompson-Boling Arena. Details for the celebration of life will be announced at a later date. Bill Haslam says Brexit vote "will be a negative"
Fresh off the heels of an economic development trip to Ireland that coincided with Britain's vote to exit the European Union, Gov. Bill Haslam said the decision could have a negative impact on Tennessee. "I’m concerned — I think we have a fairly tenuous international economy, and I think this is one of those things that will be a negative," Haslam told reporters Monday after making an appearance at the National Charter Schools Conference in Nashville. "Ultimately in Tennessee we’re connected to that same economy, and we hope there’s no eventual repercussions here." The United Kingdom is Tennessee’s fourth-largest foreign investor, with 96 companies doing business in the state and nearly 11,000 jobs tied to those investments, according to the Tennessee Department of Economic Development. With less than a month until presumptive Republican presidential nominee Donald Trump is expected to name his running mate, U.S. Sen. Bob Corker praised the billionaire's recent comments about Britain's historic vote to leave the European Union. In a Sunday morning interview with CNN's Jake Tapper, Corker said he thought Trump's Friday press conference after the Brexit vote was "one of his best events." Corker's remarks came in response to a clip Tapper played of Trump discussing the declining value of the British pound. "If the pound goes down, they're going to do more business," Trump told reporters last week while in Scotland. "You know when the pound goes down, more people are coming to Turnberry, frankly." Vilsack is holding a town hall in Abingdon, Va., on Thursday. Gov. Bill Haslam is set to attend. Advocates say abortion is actually less risky than giving birth, and the Supreme Court agreed. Its decision suggests any state regulations — those in place now or passed in the future — have to provide a greater medical benefit than the burden they impose. Evidence collected by the House Select Committee on the 2012 attacks in Benghazi, Libya, confirms that Defense Department actions could not have saved the lives of four Americans killed, that then-Secretary of State Hillary Clinton was actively “engaged” and responsive during the attack and that no one in the Obama administration lied about what happened, according to a report issued Monday by committee Democrats. Release of the 344-page report was a preemptive strike against the Republican majority’s version of the results of the two-year investigation into the assault on a U.S. diplomatic post and a nearby CIA site in Benghazi that left four Americans dead, including U.S. Ambassador J. Christopher Stevens. In a different accounting of events, a Republican-drafted committee report highlighted what it called breakdowns in the chain of command that kept U.S. military forces from reaching Benghazi until the day after the attack, according to NBC News, which obtained a portion of the report before its public release later Tuesday. The GOP report said then-Defense Secretary Leon Panetta had ordered forces to Benghazi, but none “had even left the ground” by the time of the final siege on the U.S. compounds, NBC reported. It also questioned the level of security for Stevens and suggested U.S. officials misunderstood the various factions in Libya at the time, NBC said. Reacting to reported details of the Republican report, the State Department deputy spokesman, Mark Toner, issued a statement that suggested no important new details have emerged. Toner also said that U.S. officials have followed recommendations on security on other matters made by an oversight panel more than three years ago. “The essential facts surrounding the 2012 attacks in Benghazi have been known for some time,” Toner said in a statement. The Democratic findings were largely in sync with previous investigations. “Although the Select committee obtained additional details that provide context and granularity, these details do not fundamentally alter the previous conclusions,” the report said. Hyporcrite or Pharisee? You make the call. Laureate Education Inc., is a for-profit higher education company that owns 85 campus-based and online schools around the world. It mainly operates overseas and is known as the world’s largest for-profit education company — larger than University of Phoenix, which may be a more familiar name to Americans. State Department Spokesman John Kirby said in a statement to The Fact Checker: “The State Department is not aware of any grants provided directly to Laureate Education since 2009, though we are aware of some grants to educational institutions within or affiliated with the Laureate Education network.” USAID directed us to Kirby’s statement in lieu of its own response. Did Laureate gain “unbelievable access” to the State Department thanks to Bill Clinton? We asked both Clinton’s staff and Laureate Education, Inc., if there were any arrangements made for his role as honorary chancellor regarding access Laureate may have to Hillary Clinton as secretary of state. Both sides said there were none. As with so many claims by Trump and his campaign, we’ve done our part to chase down any possible way that Laureate could have received $55.2 million from the State Department under Hillary Clinton, or any evidence of quid pro quo. We found none; this is a conflated and inaccurate talking point. If the campaign wants to stand by it, they need to give us some real information to back it up, rather than throw out a bombastic charge that is simply not credible. We award Four Pinocchios. The Senate defeated five gun measures last week before finding one it could pass, which was promptly set aside. An hour before the vote, Democratic Representatives staged a sit-in on the House floor to protest Republican refusal to debate gun measures. Republican leaders responded by excluding Democrats from the conference committee that reported a supplemental spending bill to address the Zika virus. The virus is most dangerous for pregnant women, but the partisan bill would prevent family planning organizations like Planned Parenthood from participating in the effort to help women in Zika-affected areas. The White House threatened to veto the measure. The House passed the bill without debate at 3 am Thursday morning and adjourned until after the July Fourth recess. The Senate plans to bring the Zika bill up this week, but Democrats hope to send the proposal back to the House. Before departing for the July Fourth recess, the Senate hopes to clear a House-passed Puerto Rico debt bill supported by President Barack Obama. Democrats also hope to force a vote on the gun amendment, sponsored by Maine Republican Susan Collins that would block individuals on the "no-fly" list and on another, shorter list of potential terrorist suspects, from purchasing guns. On Thursday, the Supreme Court declared itself gridlocked on President Obama's immigration administrative actions providing deferred deportation status to 4 million non-criminal aliens with a child lawfully present in the U.S., leaving in place a nationwide hold on the President's plan. The United Kingdom voted to withdraw from the European Union Thursday, causing markets to fall, the British Prime Minister to announce his resignation and European foreign ministers to insist the British hasten their exit. After its exit, the UK will need to renegotiate a long list of bilateral agreements with the US now covered by EU arrangements. Billy Moore is a partner at ViaNovo, a strategic consulting firm with office in Washington, DC, Dallas, Austin and Mexico City. We thought our readers might like to see the work we did while we were away from THE BUZZ last week. The Appalachia Service Project is a faith-based NGO which helps rebuild and repair homes for families across Appalachia, including Tennessee, Kentucky, Virginia and West Virginia. Our volunteers on this trip were all high-school kids who worked long hours in heat and thunderstorms to build new floors and roofs, to insulate and waterproof houses, and provide families in need with a warm, dry, safe home. Find our more about ASP here. A week of hard work, improving lives. Your regular CPI Daily Buzz will return tomorrow. It's good to be home.